Andy Muschietti’s IT opens this week and with that there’s been plenty of talk revolving around both the Losers’ Club as well as the terrifying Pennywise the Clown. Originally played by the great Tim Curry, this new incarnation of Pennywise has a much scarier and darker approach than what was given by Curry’s performance. 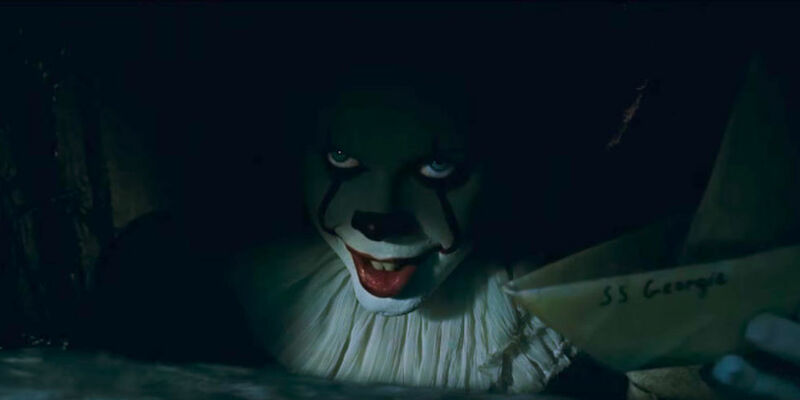 This time, Pennywise is played by actor Bill Skarsård and has some big clown shoes to fill with the iconic role Curry left behind. 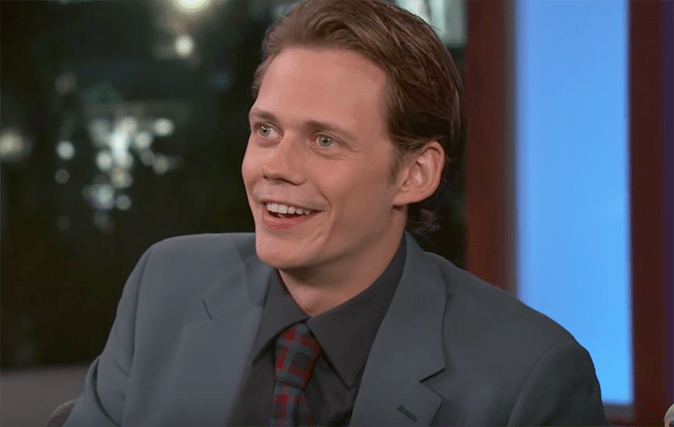 In an interview with HorrorFreakNews.com, actor Bill Skarsgård was asked a few questions that included the actor’s take on the character as well as the perception of he #Pennywise he wanted to portray. Skarsgård made sure to do his homework before diving deep into one of the most iconic horror villains ever put to the big screen. With Steven King’s hit novel, Skarsgård made sure to soak in as much of the source material as possible before becoming this character. In the interview, Skarsgård goes into full detail about how much of the novel he used to portray his own style of the character. The main challenge for him however, was understanding Pennywise’s emotion through the text. It’s interesting to note that while Skarsgård did take the time to watch the mini-series, he wanted to deviate himself from Curry’s performance. Curry will always be remembered for this role, but Skarsgård wanted to be sure that he brought his A-game to a memorable and terrifying role. These are questions that even I would like to have answered. #Pennywisetheclown is an evil entity that has been haunting the children of the fictional town of Derry, Maine. The creature comes every 27 to 30 years to prey on the children and feeds on their worst fears. This new incarnation will look to take us into a much different direction than the TV min-series did. This film is set to debut on September 8 and the immediate buzz is extremely positive. Though we’ve had a few horror hits on our hands over the past year including Don’t Breathe, Lights Out, and this years Get Out, IT will most likely blow all of those out of the water when it comes to the box office results. After all, author Steven King has praised the film as a worthy adaptation to his own source material. IT is sure to join the ranks of Pet Sematary, The Shining, Misery, and 1408 as some of the great book to film horror adaptations that Steven King has since written. Are you looking forward to seeing IT? What are you most excited about it? Please leave your thoughts in the comment section below and be sure to catch the film in theaters starting on Sept. 8th!